Your birthday athlete will absolutely love having his or her special day celebrated at SUSA! Our spacious indoor complex can host just about any size birthday party or event. 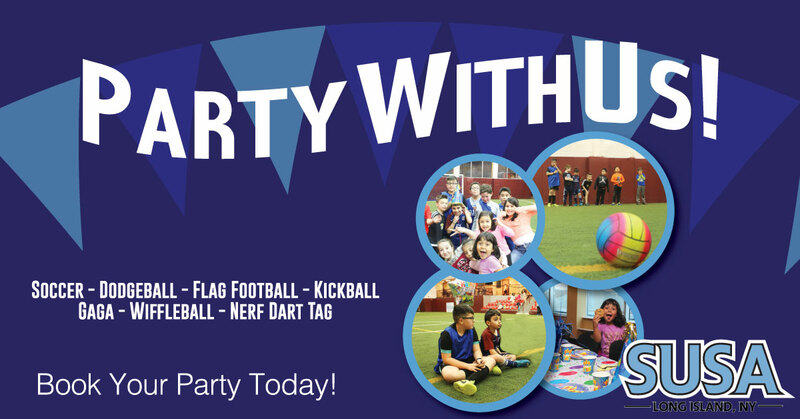 Choose from our many sports activity offerings such as SOCCER, DODGEBALL, KICKBALL, WIFFLEBALL, TOUCH FOOTBALL, RUNNING BASES, TEAM COMPETITIONS (RELAYS, TUG OF WAR). Play Ball! We will coordinate and facilitate multiple quick running sports activities that will have your child doing what they love to do most, play sports with their friends! Our party players will make sure they score with this party theme! Additional pizza for Adults or additional food choices available at additional cost. It’s not just a game! 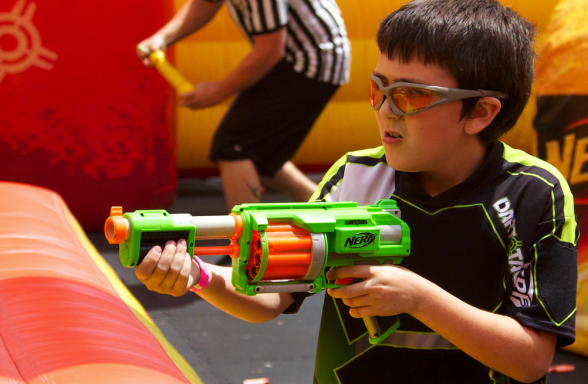 Your child and their friends will be split into two teams and the goal is to capture the flag. Quick moving, high flying excitement will have your birthday child the talk of the town at school as having had the best birthday ever. They will want to come back and play again and again! INCLUDES 1 HOUR OF CLIMBING, ROLLING, BOUNCING, SWINGING, RUNNING, AND JUST FREEDOM TO PLAY. THEN IT’S UP TO THE PARTY ROOM FOR A HALF HOUR OF PIZZA AND SNACKS.